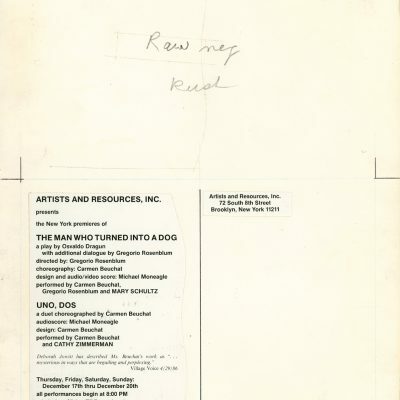 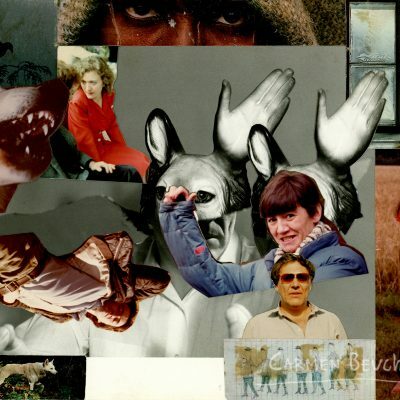 Collage created by Michael Moneagle and Carmen Beuchat for a postcard of “The Man Who Turns into a Dog” and “Uno, Dos”, pieces presented at the Ohio Theatre of New York between december 17th and 20th, 1987. 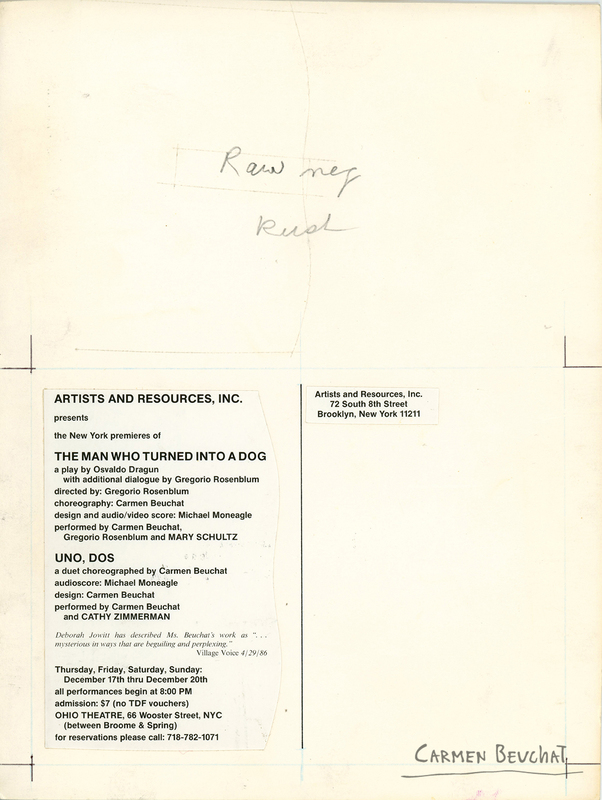 It is made with photographs and text print-outs on white card board with pictures of Carmen Beuchat, Michael Moneagle and Robert Rauschenberg, among others. 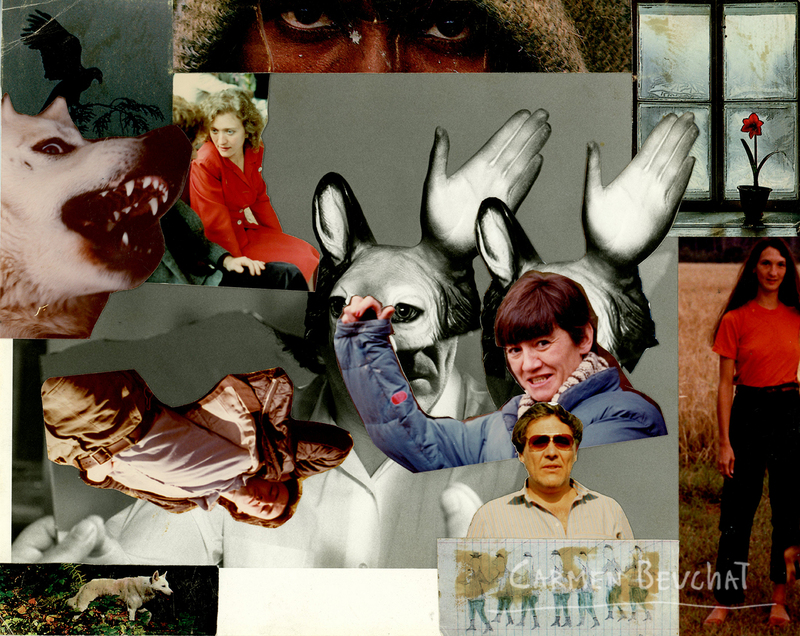 Physical Description: Photograhic collage on carboard 25,1 x 20,2 cm., and cuttings of white paper with black letters 21,7 x 28,1 cm.